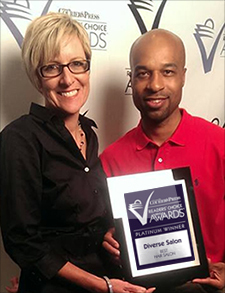 Congratulations to the Diverse Salon Team!! 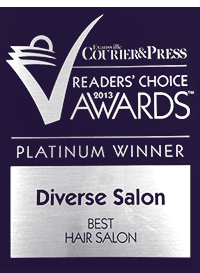 Diverse Salon received the PLATINUM Award for Best Hair Salon at the 2013 Evansville Courier & Press Readers’ Choice Awards. We would like to thank all of our current clients for their continued support and look forward to seeing new faces in the future!! 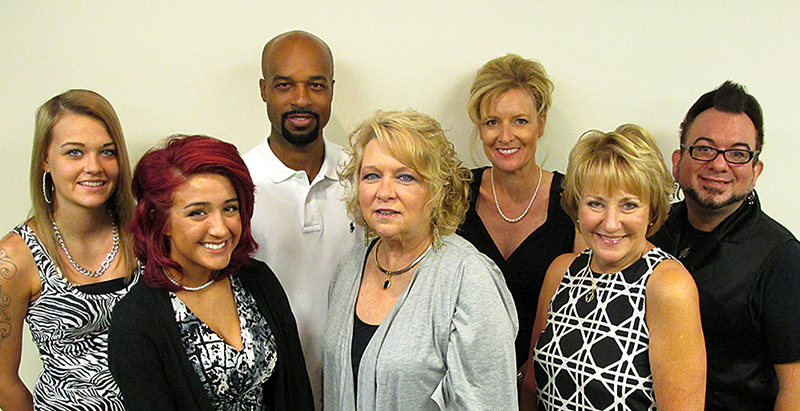 Come visit our salon and see why we’re voted BEST HAIR SALON 2013.